A fire in a mine can pose a very serious threat. If under prepared, the consequences can be devastating. The hazardous nature and typical remoteness of mining operations means that fire safety equipment and systems must be kept in peak condition to ensure they work effectively in the event of an emergency. Protecting mine sites requires many different types of fire safety systems and equipment. The types of environments may include process plants, underground conveyors, static and mobile plants, draglines, workshops, substations, monitored control centre rooms and switch rooms. Unfortunately keeping everything checked and maintained can be a time intensive task that can easily slip down the priority list. In accordance with the strict requirements for the servicing of fire suppression systems and equipment as outlined in the Australian Standard AS1851-2012 “Routine Service of Fire Protection Systems and Equipment”, it is vital that maintenance of fire safety systems and equipment on mine sites is kept up to date. This includes inspection, testing, preventative maintenance , managing defects and repairs and survey activities. To help mine site managers keep track of their maintenance obligations, mine sites are increasingly turning to new technology. One such system is Wormald Connect, an online portal that can centralise and manage fire safety maintenance. This web-based online portal provides 24 hour access to fire service calls and inspections data, and provides instant visibility to any system that may need routine maintenance and servicing. It allows maintenance schedules to be booked at any time that suits and stores data for easy analysis or the data can be exported for further analysis or record keeping. Inspection summaries can also be filtered to suit a customer’s individual needs. Entirely web based, the Wormald Connect service is available to all Wormald clients at no extra cost and there is no requirement for you to invest in proprietary software or hardware. For mining companies, automated maintenance technology can be particularly beneficial to keep track of multiple mine sites that may be located across different states and territories. It can help centralise fire safety maintenance and ensure every site is safe and compliant. The portal can also provide comprehensive reporting capabilities for each location, with data accessed in real-time around the clock provided there is access to the internet. Knowing that a mine site’s fire safety equipment and systems are well maintained and regularly tested is reassuring and while automated maintenance technology can be a valuable tool, it should be noted that technology cannot replace the role of human intuition, management and accountability. Mine site safety managers need to remember that it is their responsibility to ensure fire safety requirements are met and that they adhere to regulations and relevant standards applicable in their State. 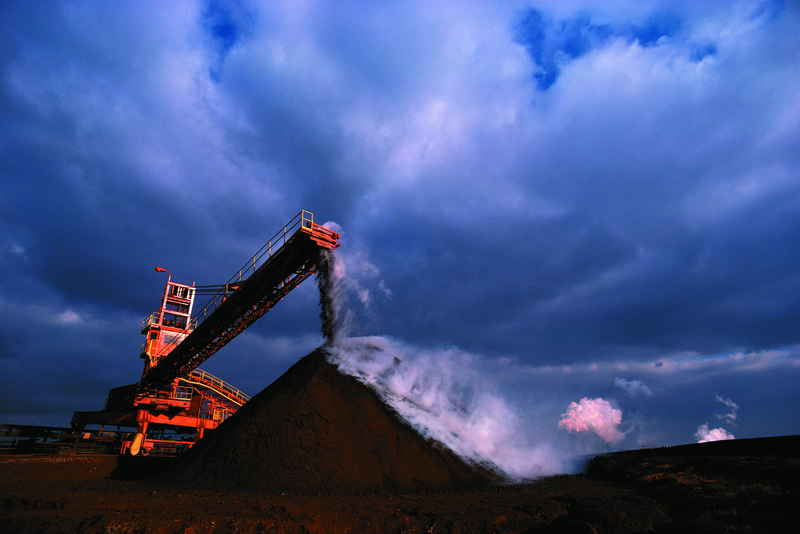 For further information about using technology to maintain mining operations, call Wormald on 133 166 or visit www.wormald.com.au. This entry was posted in Fire protection planning, Fire safety products, Fire safety standards, Fire systems, Mine site fire safety and tagged mine site safety by wormaldblog. Bookmark the permalink.